Sometimes Metal Detectorists get a bad rap because of a few bad apples that sneak onto federally protected land to metal detect. There will always be those that press their luck, but any true metal detectorist that I know of follows a Code Of Ethics. If you’re a veteran of the hobby, or a New detectorist, we can all benefit from knowing and practicing the metal detecting code of ethics. •Always fill in your holes, including plowed fields, sand pits, beaches and in water. •Study, learn, appreciate and protect our heritage of natural resources, wildlife, and private property. •Be thoughtful, considerate, courteous and respectful of others at all times. 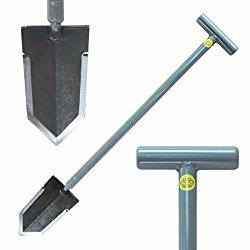 •Protect the metal detecting hobby by being a good will ambassador at all times. Together we can all make a difference in how the community views metal detectorists as a whole by following a few common sense rules. This entry was posted in Arkansas Metal Detecting, Coins, Doing Good, Found Treasures, Headstamps, Jewelry, Locations, Metal Detecting, Metal Detecting Finds, Metal Detecting News, Metal Detecting Tips, Relics, Safety and tagged code of ethics, fisher f2 metal detector tips, metal detecting, metal detecting blog, metal detecting blogs, metal detecting code of ethics. Bookmark the permalink. Keep spreading the word my friend, we need all the help we can get! Curious, what machine do you swing? Fisher F2… what about you? Thanks for the kind words bud! I really feel this way. Very nice blog – I like your stuff and enthusiasm. Keep up the good work. Thanks! Together we can shine a positive light on the hobby!